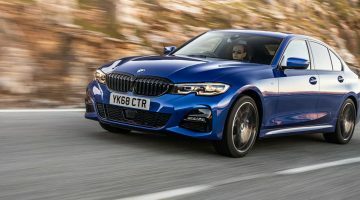 You don’t need me to tell you that there’s a fine tradition of big BMW coupes stretching back decades, but the firm has struggled in more recent years to imbue its flagship creations with that intangible sense of desirability and deftness of dynamics to really appeal to a car enthusiast. Effective the 6-series family may have been, but exciting on all levels? Perhaps less so. 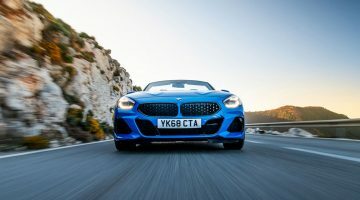 However, ever since the first pictures began to land of this new generation, with the emotive appeal surrounding the 8-series moniker, so came the expectation that this time might be different, a feeling intensified when evo was invited on a prototype drive of the M850i in North Wales with its BMW engineers and came away impressed. Now we get to drive the finished car. Has BMW built a sports car, a grand tourer, or something in between the two? The M850i xDrive flagship is powered by the familiar BMW N63 engine, a 4.4-litre twin-turbo V8 that always punches hard. However, it’s been comprehensively reworked for this new application, with a stiffer crankcase, revised cylinder heads and larger twin-scroll turbos. In an era when BMW M uses the same starting point (unlike the bespoke engines of old), the efforts of BMW’s mainstream engineers can sometimes seem less noteworthy – until that is the new peak power of 523bhp is taken into account. Backed up by a maximum torque figure of 553lb ft from just 1800rpm, it’s clear this coupe isn’t going to be left wanting for propulsive force. The V8’s twist is fed through the ubiquitous eight-speed torque converter automatic transmission, which now features a wider spread of ratios and revised programming. It also features a launch control function, which contributes to the M850’s fairly spectacular 0-100kph time of 3.7sec, the top speed being limited to 249kph. Predictably, BMW has employed a lot of technology to make nearly 1900kg of Bavarian supercruiser accomplish everything from urban commuting to being at home on the Nordschleife. Its structure is a mix of various metals and composites, with the option of a carbonfibre roof available for the first time outside of the M cars. From there, it uses double wishbone front and multi-link rear suspension, mainly crafted from aluminium, with adaptive damping, active roll stabilisation (via electric motors that can also de-couple when the car is running in a straight line), BMW’s xDrive four-wheel-drive system and the Integral Active Steering set-up with a variable-ratio rack and rear-wheel steering up to 2.5 degrees. Naturally, all of those elements talk to a central ‘brain’, reacting in harmony depending on the situation. As an M Performance model, the M850i has a higher specification over the 840d, and any other 8-series models that may be on the horizon, and that includes the braking set-up of 395mm discs on both axles. Close the coupe’s long door behind you and the first thing you’ll notice is the driving position. 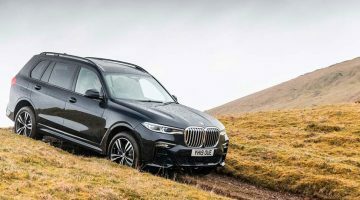 With the electric seat dropped to its lowest setting you’re virtually sat on the floor, and unusually, the sill curves upwards for some way before the door opening, revealing the efforts BMW has gone to in the name of a low-slung driving position. Look around the cabin and the broad centre stack catches the eye, as does the all-TFT dial pack directly in front of you. While it clearly isn’t trying as hard as a Mercedes-Benz, this is still an interior of more warmth than Munich’s previous efforts – the precisely stitched extended leather over most surfaces, the optional Alcantara headlining, the fine mesh aluminium trim inserts, all creating the right ambience. Move away from rest and the 8 is barely more demanding than a 7-series. The steering is fingertip-light but free of corruption, the ride obviously composed, and refinement absolute. The first tap into the throttle elicits a subtle V8 growl from somewhere aft, but that’s about it for commotion. This is clearly the luxury element of the 8-series recipe, and the car does it very well; as the kilometre build, so comes the confirmation that this would be an effortless everyday form of transport, or a peerless shrinker of distances. Up the pace and the 8 reveals a different side, although you’ll need to switch out of Comfort into Sport, or even Sport Plus mode to fully experience it. What’s particularly appealing is the cohesive manner of all the car’s controls and systems. The engine’s response is very natural, to the point where it doesn’t really feel turbocharged, and the gearbox allows it to pull from low revs if you’re measured with the throttle. Conversely, you can use all the revs and make quick changes with the paddles if so desired, whereupon the N63 finds its voice in a way only the M5 has done up until now. There’s little feedback via the steering, but on the plus side it’s progressive and smooth in response, and guides the nose keenly into a corner, aided by the rear-wheel steering. Even when the road turns really twisty and challenging the M850i always keeps its poise, determined to hide its size and weight. Those attributes become much more obvious on a circuit, where the car can be driven harder than seems feasible. The enhanced rotation of the car into a corner is obvious, as is the way the xDrive and rear diff then set the car up for the perfect exit. Even after a number of laps being driven with enthusiasm the M Performance brakes show no sign of protesting, which is a significant achievement in itself. It isn’t a wonderfully immersive sports car experience, but given the car’s other talents that feels OK; it’s the overall blend where the M850i forms its appeal. There are plenty of cars that cover the M850i’s talents in part, but precious few that meet it on equal ground. A Porsche 911 offers more of an outright sports car experience, but without the same long-legged refinement, while the cheaper Lexus LC500 is even more eye-catching and has a great engine, but a disappointing ride quality. An Mercedes-AMG S63 S Coupe majors on luxury and refinement, but is nothing like as dynamic to drive, and also costs considerably more – as does the Bentley Continental GT. AT $129,240 the M850i xDrive sits in a little niche of its own.